A beach party can be a festive way to celebrate a summertime birthday. When the birthday is for a baby or toddler, however, the beach may not be the most practical place to host a bash. For those times when you can’t get to the beach, why not bring the beach to you? Celebrate the occasion with a beach party that brings the sand, sun, and surf right to your own backyard! Most party supply stores stock a selection of beach-themed invitations that can easily be filled out and sent to guests, simplifying the invitation process. If you prefer homemade invitations, however, there are a few ideas that are also simple to make​ and offer that personal touch. Postcard photos are a favorite way to personalize’ party invitations. For the postcard photo, snap a photo of your children in beach attire, such as a bathing suit and sunglasses. To stage the photo, you can take your kid to an actual beach, put him in a sandbox, or simply have him pose with a shovel and pail. Inflate a beach ball and use a permanent marker to write the party details on the ball. Deflate the balls and send them along with a note for recipients to inflate the balls upon receipt. Tuck a note that outlines the party information into a seashell. This style of beach party invitation is best delivered by hand. Use colored cardstock to create invitations in the shapes of beach-themed items such as surfboards, starfish, sand castles and shovels and pails. 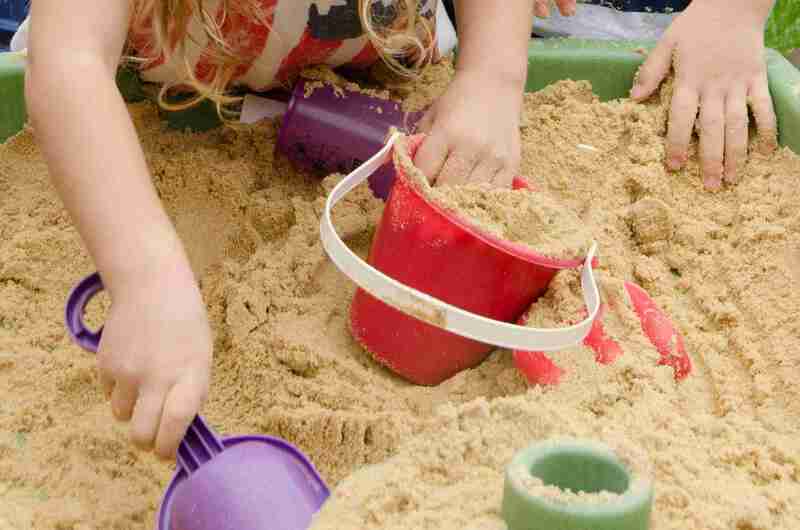 Sandboxes: Depending on ​the number of kids, one large or a few small sandboxes should provide enough sand for everyone to dig in and play. Baby pools: Bring in the water aspect of the beach with a couple of splashing pools. Beach pails and shovels: Think of these as not only toys for play but as decorative props. One fun idea for using beach pails and shovels as both decorative and functional is to fill the pails with party food and use the shovels as serving spoons. Another idea is to fill them with sand, top the sand with seashells and place them as centerpieces. Swim toys: Use swimming items as decorations when you prop boogie boards along fences and scatter inflatable rafts and sea creatures around the party space or hang them from trees and deck rails. Beach bucket and shovel. You can personalize them by painting on the children’s names and fill them with trinkets or any of the following ideas for beach party favors. What Should I Do To Host a Beach Party?